On the treadmill at the gym, looking down and realizing I had a piece of paper towel stuck in my cleavage. Uh oh. How long have I been running with you in there??? I've realized I wet my toothbrush both before and after I put toothpaste on it. What is the point of wetting it both times? I know it's pointless but for some reason I just keep doing it!! People who have intimate conversations in PUBLIC bathrooms. Uh...HELLO. there are other people in here. I realllly reallly really don't what to know every exact detail of your date with Johnny last night and what happened afterwards. Really. I don't. Boys getting in a fight at the toaster line in the cafeteria over who was waiting first to toast their bread. (boys) and being stuck in the middle innocently trying to cream cheese my already toasted bagel. Please don't start punching each other over my head. please please please. My sequined shirt I wore on Friday. It was just so fun and sparkly so I went around saying "my body is sooo sparkly" while running my hand over the sequins. Cause they moved back and forth ya know. Basically I went around rubbing myself subconsciously all day. Probably not the best thing to be doing subconsciously in hind site. Your Whims Wednesday, my first link party, was a great success!! I'm so excited to do a features post. Thank you all for linking!! THE SUN IS OUT. HORRAY. My literature professor analyzed Ke$ha lyrics in class yesterday. SO funny. I have Easter break from college one week from tomorrow!!! A wholeeeee week at home to look forward to. I have a Gilmore Girl's and Beading date tomorrow night with my bff here at school Caroline. So excited!! Speaking of giveaways....I won my first one!! 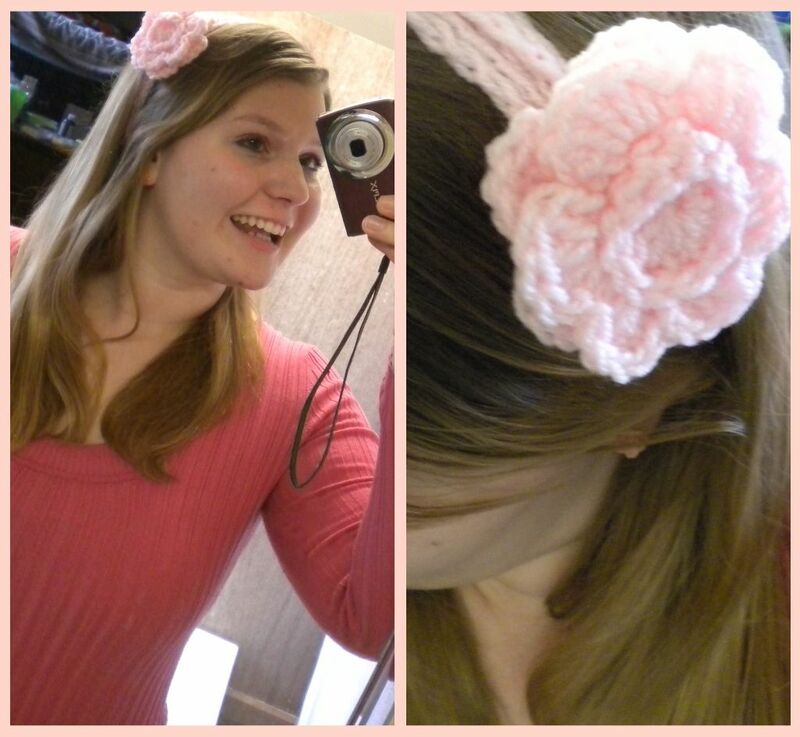 I won a headband over at A Law Student's Journey from So Chic Crochet Designs. Adorable! Thanks to both of you ladies for the giveaway! You are so cute. I lol'd about the toilet paper! Ha! Oddly, I do the same thing when I brush my teeth. Thank you for stopping by at my blog and leaving a comment. You have such a cute blog. I will definitely link up with the next time you have a party!!! Thank you for the invite! ahhahahah PS the toilet paper in the cleavage! That is hilarious! I like that you are able to laugh at your self!!! lol thanks all you ladies :) Although, luckily it wasn't toilet paper just a paper towel. i think it came from wiping down a machine before the treadmill so luckily wasn't there too long! I do the same thing with my toothbrush--I have no idea why and it's probably not necessary at all, but I still do it.